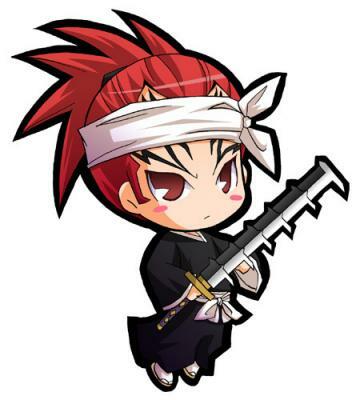 Chibi Renji. . Wallpaper and background images in the Bleach (Anime) club tagged: bleach chibi renji abarai shinigami. This Bleach (Anime) fan art might contain falchion, breitschwert, lehm, claymore, dolch, and aufkleber.